Congratulations! Your wedding day will be one of the most memorable days of your life and we would love to be a part of it! Let us create a delicious wedding cake of your dreams that will also serve as the most important centerpiece at your wedding reception. 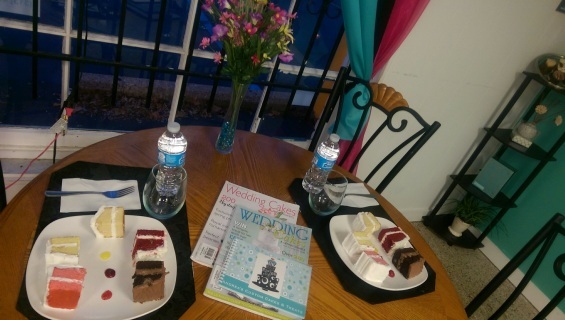 We do offer wedding cake tasting consultations by appointment only. Please give us a call (313) 473-7040 or submit an inquiry to request a quote. 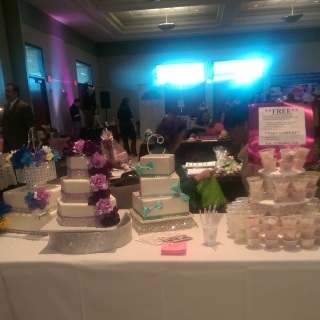 This will help us to know what type of cake you're looking for and to also help us give you a price estimate. If you don't have an idea in mind, NOT A PROBLEM, just let us know your wedding date and the number of servings that may be needed. The consultation is a small fee of $25 that will be credited towards your deposit, if you decide to book at the time of tasting. It must be paid at least 24 hours in advance. A total deposit of $200 is due to secure your wedding cake. The balance is due 3 weeks prior to your wedding date. ​ Consultations are for preferably TWO people, but NO more than THREE. They typically last 1-1.5 hours. Please bring any of the following items; color swatches, photos of cakes, any ideas of what you may want incorporated in your cake, and most importantly your APPETITE for sweets! *Please note that if you DO decide to book your wedding cake at the time of tasting, this $25 will be credited towards your wedding cake deposit.